Franz Lefort (Франц Яковлевич Лефорт in Russian) (December 23, 1655 (January 2, 1656) – March 2(12), 1699) was a Russian military figure of Swiss origin, general admiral (1695), and close associate of Peter the Great. Franz Lefort came from a merchant family, and was born in Geneva. He began his military career in the French and Dutch armies. In 1675, Lefort arrived in Russia with a unit under the command of Colonel Fan Forsten in order to find employment with the Russian army. In February 1676, he came to Moscow, but was rejected by military officials. The Posolsky Prikaz listed him as a visiting foreigner. Lefort settled in the so-called Nemetskaya sloboda in Moscow, where he would gain respect among other distinguished foreigners. In July 1678, he once again applied for service in the tsarist army and was accepted in the rank of captain. Then, Lefort was sent to one of the fronts during the Russo-Turkish War of 1676-1681. In the early 1679, he was ordered to join the Kiev garrison under the command of Prince Vasily Galitzine and General Patrick Gordon. Upon his return to Moscow from a short trip to Geneva in 1683, Lefort was on various diplomatic assignments until the fall of 1685. Lefort's house gradually turned into a main attraction of the Nemetskaya sloboda, attended not only by locals, but by Russian noblemen, such as the Galitzines. It appears that Lefort utilized his connections with the latter and received a fast promotion. In 1687 and 1689, he took part in two unsuccessful Crimean campaigns. Peter the Great became a frequent guest in Lefort's house since 1690. Lefort was one of the principal organizers and participators in Peter's military games, which would pave the way for his career advancement. In 1690, Lefort was promoted to the rank of major general. 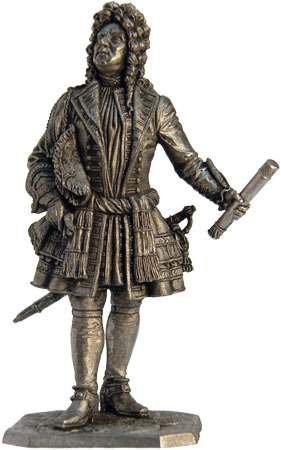 He then became lieutenant general (1691) and general (1693). In 1692, Peter I funded the construction of a big reception hall for 1,500 people, which was an extension to Lefort's house. This hall hosted business meetings and Peter's parties. In 1691, Lefort was put in charge of a regiment and issued a training ground on the left bank of the Yauza River. Peter ordered construction of a sloboda for this purpose, which would later be called Lefortovskaya sloboda (the Lefort quarter, present-day Lefortovo). 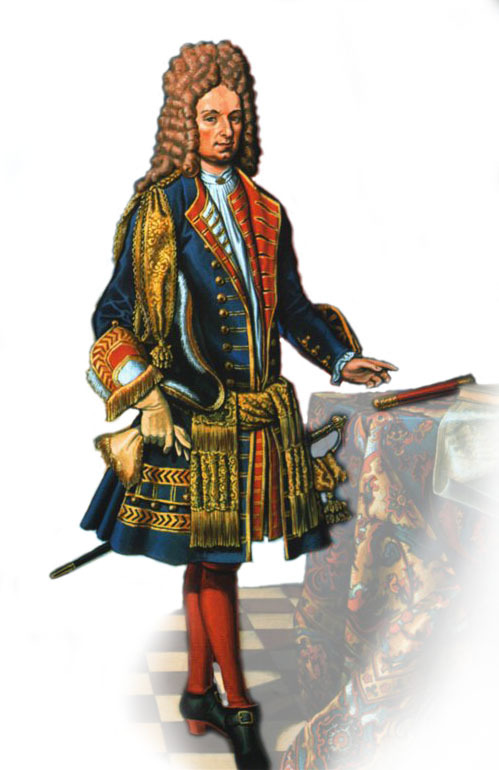 In 1693-1694, Lefort accompanied Peter on his trip to Arkhangelsk. In 1694, he participated in Peter's "funny" Kozhukhov campaign (a military game in a village of Kozhukhovo, between Moscow and Kolomenskoye). During the Azov campaigns of 1695-1696, Lefort was in charge of the Imperial Russian Navy. His return from the war was greeted with a solemn parade through Moscow to his "native" Nemetskaya sloboda and subsequent festivities. Lefort was awarded a title of governor (наместник, or namestnik) of Novgorod and estates in two uyezds. In 1696, Lefort together with Fedor Golovin and Prokopy Voznitsyn was put in charge of the Grand Embassy, a Russian diplomatic mission to Western Europe. Upon his return to Moscow in 1698, he took part in the Streltsy trial. That same year, he moved to a custom-built palace on the Yauza River, which would later be called the Lefortovsky Palace. The palace would soon become a center of the Russian political and royal life in 1698-1699. Peter the Great used to hold all his important meetings and numerous celebrations in Lefort's palace. Franz Lefort died in Moscow in 1699. Upon hearing the news of his death, Tsar Peter lamented "Now I am alone without one trusty man. He alone was faithful to me. Whom can I confide in now?" On March 21, Peter held Lefort's state funeral, one that was to be less only to funerals of Tsars or Patriarchs. He is buried in the Vvedenskoye Cemetery in Lefortovo. The Russian 84 gun ship of the line Lefort (launched 1835, shipwrecked 1857) was named in honor of Lefort.